It’s that time of year again. We’re slowly ditching the layers and getting our skin back out in the open. But after months of indulgence and less-than-glowing weather, your body can end up feeling puffed up, blocked up and a little worse-for-wear. 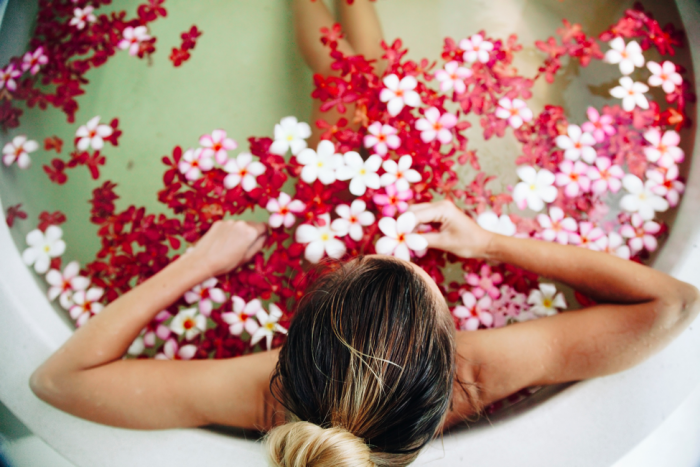 We all know that a good spa treatment can leave us feeling pounds lighter - but there are treatments that can actually make you lighter and leaner, too. Lap up the luxury and lose inches with these in-spa and at-home treatments that promise a beautiful body as well as a rejuvenated mind. In addition to making your skin feel soft and wonderful, body exfoliators can help make your body lean by lifting layers of dead skin cells, dirt and oil from your skin. Many of us make exfoliating our faces a regular part of our beauty routine, but the rest of your body is missing out on the inch-reducing benefits. Can’t make it to the spa? This DIY body polish has a soft grainy texture that will boost circulation, help drain lymph nodes and leave you feeling leaner and glowing in no time.